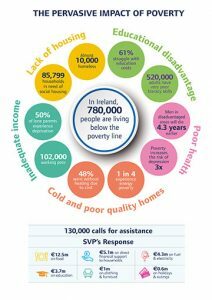 Sixteen percent of the population, which amounts to 780,000 people living in Ireland today, are living below the poverty line according to the Society of St Vincent de Paul. 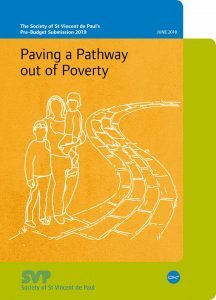 Launching its Pre-Budget Submission 2019, ‘Paving a Pathway Out of Poverty’, the SVP described this figure as unacceptable as Ireland is one of the richest countries in the world. At the launch, Kieran Stafford said that what is particularly stark is that 70,000 more children are growing up in poverty compared to 10 years ago. He highlighted how the SVP receives double the number of calls for assistance than it did in 2008. The SVP’s submission contains 35 practical proposals which it describes as incremental steps. If implemented, the SVP say they would help pave a way out of poverty for hundreds of thousands of people. “Poverty is not inevitable, and its eradication is possible, but it requires well-designed policies, resources and political will. Poverty not only hurts the individual affected; it hurts communities, it hurts the economy, and it hurts society,” Kieran Stafford said. The submission covers five key areas for the Government to prioritise and these include housing, education (including early years), income adequacy, energy and health. The SVP points out that Ireland remains “in the grip of a housing and homelessness crisis”. The SVP has called on the Government to reassess its housing policy, to prioritise the scale-up of the delivery of social and affordable housing and to enhance prevention supports to enable people to remain in their homes, to ensure that everyone has the right to an affordable, secure and adequate home. In the area of education, including early years, the SVP states that while education is the best route out of poverty, under-investment means that many children, young people and second chances learners continue to be excluded. “Budget 2019 must invest in education services and supports across the life cycle. This means enhancing early years supports and services, tackling school costs and breaking down barriers to further education,” the SVP has said. The third area the SVP highlights is income adequacy stating that currently most social welfare rates are below the poverty line and well below what many households need to afford a socially accepted standard of living. In its submission, the SVP calls on the Government to ensure that social welfare is benchmarked, so that it is sufficient to lift people out of poverty and provide them with a minimum essential standard of living. On energy costs, the SVP says that uncontrollable costs of the average electricity bill now account for between 37-39%. In the past five years, the Public Service Obligation levy alone has increased by 231%. These costs disproportionately hit low income and energy poor households. 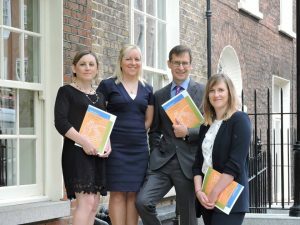 According to the SVP, alongside improved income supports, including future-proofing support and enhancing assurance for vulnerable customers, there is a need for greater investment in energy efficiency measures, particularly for those in the private rented sector. The charity states that people living in disadvantaged areas are more likely to have poorer health and to die at a younger age. It wants improved access to primary and secondary care for low-income households. During 2017, the SVP received 130,000 calls. Its annual budget to help callers provided €12.5 million for food. The next highest spend was €4.3 million on fuel and electricity. €3.7 million was spent on education, €1 million on clothing and€0.6 million on holidays and outings.